Details has been revealed this week of a Chromebook laptop create by Asus, which the company will soon be launching equipped with 64GB of storage together with a 1080p display for a price of $300. The additional on-board storage of the Chromebook at an affordable price, is a great option if you are looking to take advantage of the new Android applications and games support which Google has recently made available for its Chrome OS operating system. The Asus Chromebook C301SA is currently available to pre-order online and is equipped with a 13.3 inch LED backlit display providing users with a resolution of 1920 x 1080 pixels. As well as offering support for connectivity via both 802.11ac WiFi and Bluetooth 4.2. 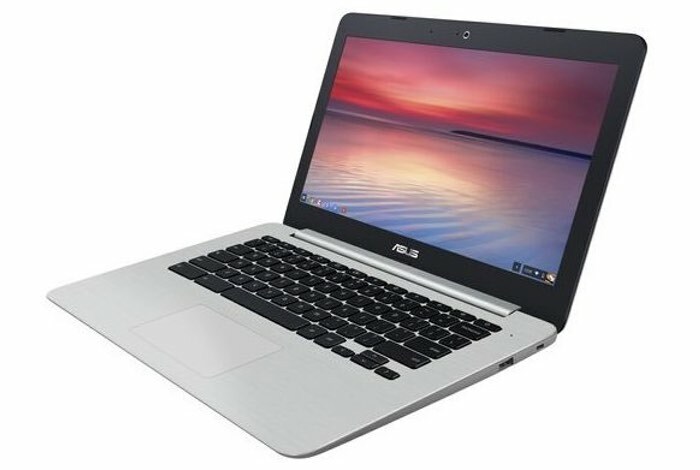 The Chromebook C301SA is powered by an Intel Celeron N3160 quad-core Braswell processor which is supported by 4GB of DDR3 RAM.. As soon as Asus reveals more detail about these systems worldwide availability we will keep you up-to-date as always. But for now the system seems to be available to preorder at sites such as B&H which can be accessed via the link below.